There are a million things to think about for your wedding day. Wedding favors may seem like a small detail, but if done with care they can leave a lasting impression. 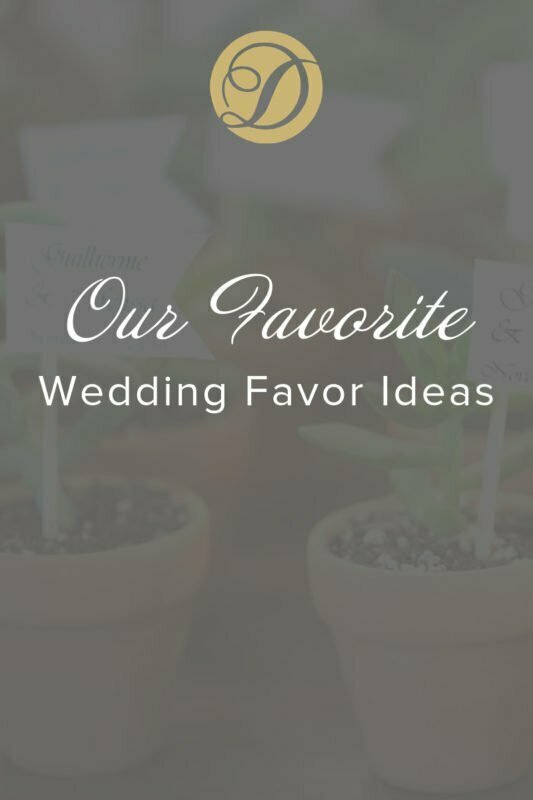 We have researched the trends and compiled a list of the top wedding favors that are sure to leave a lasting impact on your guests. Going green has its perks! Its super easy to get creative with potted plants or seed packets! Create a table display of mini potted plants using flowers, herbs or hearty succulents to elevate your décor and give a gift that keeps on giving. Potting mini plants is easy for any DIY bride, and the time commitment depends on how crafty you would like to get! Don’t have a green thumb? No problem! Our Floral and Décor team will be happy to design and assemble your green wedding favors for you. 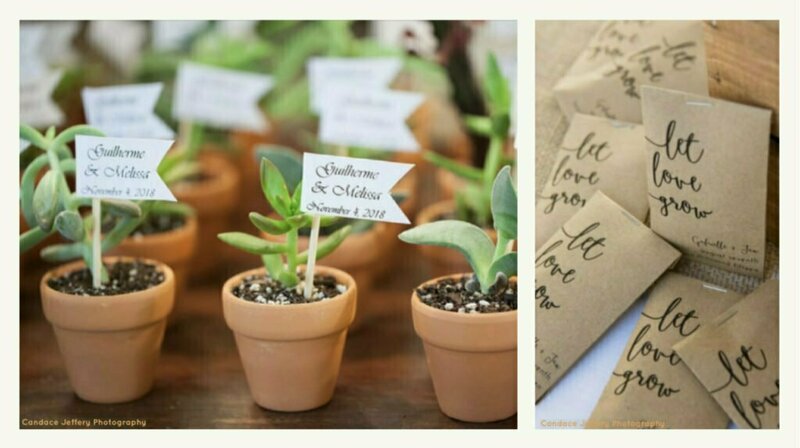 Seed packets are also a great way to elevate your wedding décor. Purchase seeds wrapped in butcher paper to use as place setting décor. Write your guests table number or name on each packet and let them find their seat. To make your seeds more personal pick your favorite flower or garden vegetable and include a little note explaining your choice! 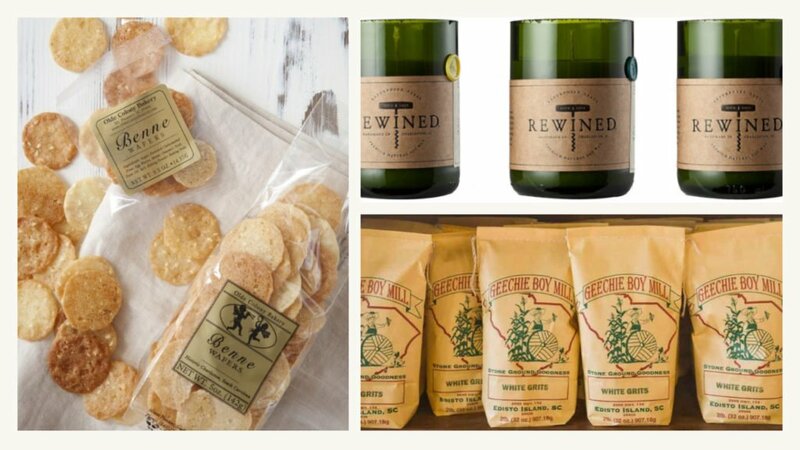 Treats to-go have become a popular wedding favor. Upgrade your take away by thinking out of the box! Bags or tins of specialty popcorn are a great late-night nibble for your guests and offer a treat they wouldn’t normally get. Or take them back to childhood with a selection of gourmet Rice Krispy Treats! Extend the night of your outdoor fall wedding by creating a s’mores to-go box. Personalize this wedding favor by forgoing the traditional Hershey bar and adding your favorite candy. Reese’s make for a unique and indulgent bite! This treat is sure to gather guests together over a camp fire as and leave them remembering your sweet day. We Love: Our three signature flavors- Classic, Fruity Pebbles and Salted Chocolate Potato Chip are sure to provide a little take home nostalgia to every attendee! Think local when it comes to selecting a wedding favor. Is there something the area is known for or a local business that has an impactful story you want to share? Finding a cute local take away helps explain your love for an area your guest may not be familiar with. Asking your caterer or wedding planner if they have any ideas is a great place to start. 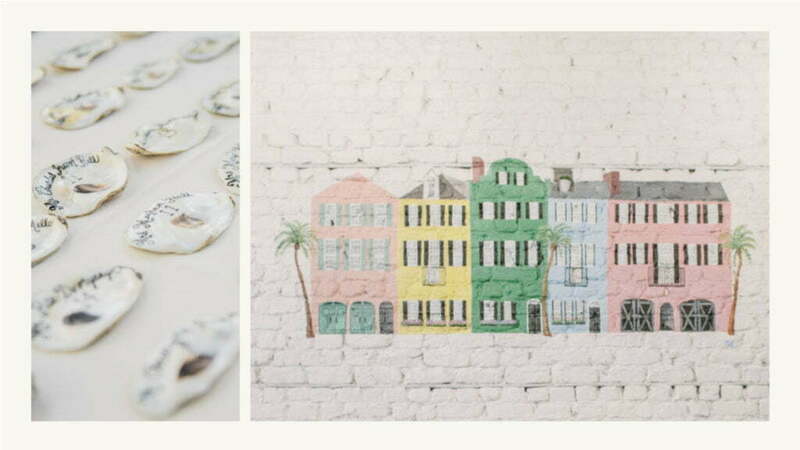 We love keeping it local and pointing you in the direction of our favorite vendors in Charleston and the Lowcountry!